AN ACT concerning school districts; relating to the identification and instruction of pupils with dyslexia. 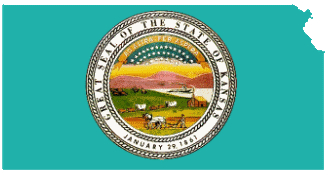 The bill requires Kansas schools to accept the diagnosis of dyslexia from any licensed psychologist, physician or psychiatrist, and to provide services for all children with a dyslexia diagnosis. Requires screening of children in grades K-2 for dyslexia and other reading disabilities. Requires schools to accept a diagnosis of dyslexia by a psychologist or medical doctor. Requires the school district to implement a reading instruction program commensurate with the student’s reading deficiencies, whether or not the student has an individualized education plan. Submit a progress report by December 31, 2009. Dyslegia: A Legislative Information Site. Site maintained as a public service by Davis Dyslexia Association International.